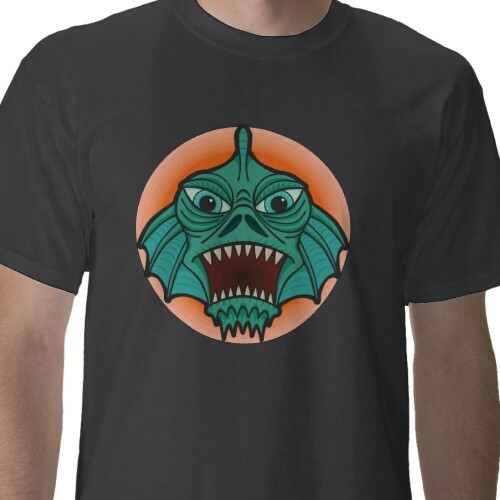 The creature from the deep is coming to a T-shirt near you. He could be sneaking out of the water right now and creeping up behind you on his big flippery feet. Don't worry though, he'll know you're a fan with this T-shirt on and you will probably get an autograph. It might be a bit slimy though. Get yourself a Swamp Monster T-shirt.